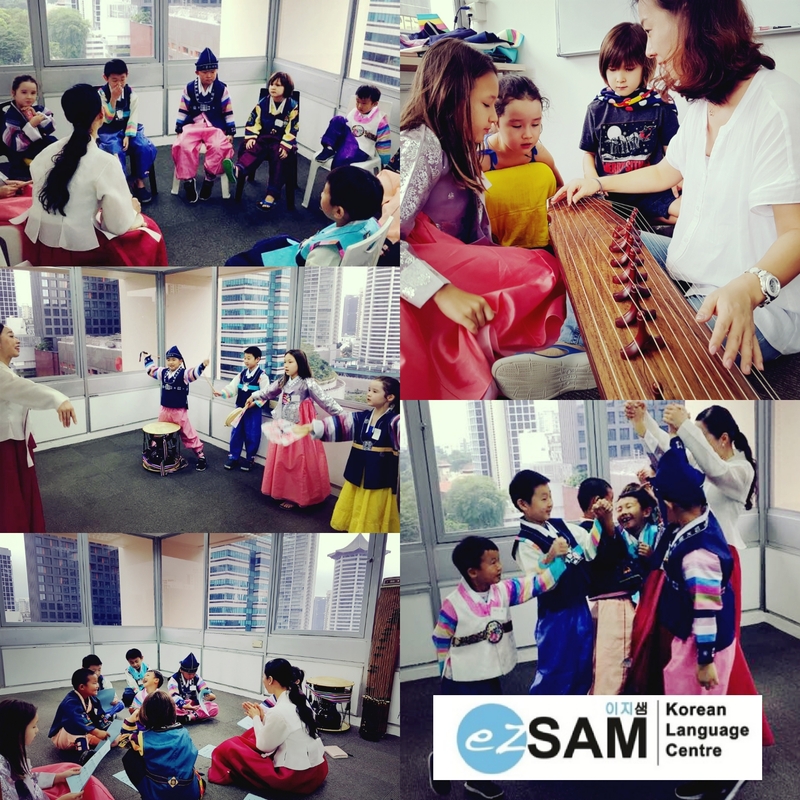 ezSAM’s Kids Korean class are carefully customized for kids aged 5-12. Kids can learn Korean in a fun way, while being exposed to arts, music and traditional Korean culture. 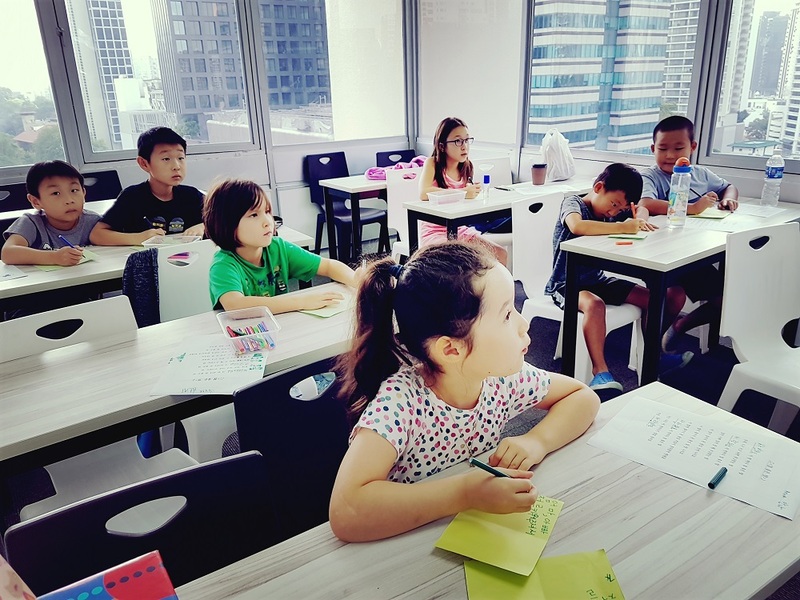 We are one of the few language schools in Singapore teaching customized and fully immersive courses for kids in the Korean language. 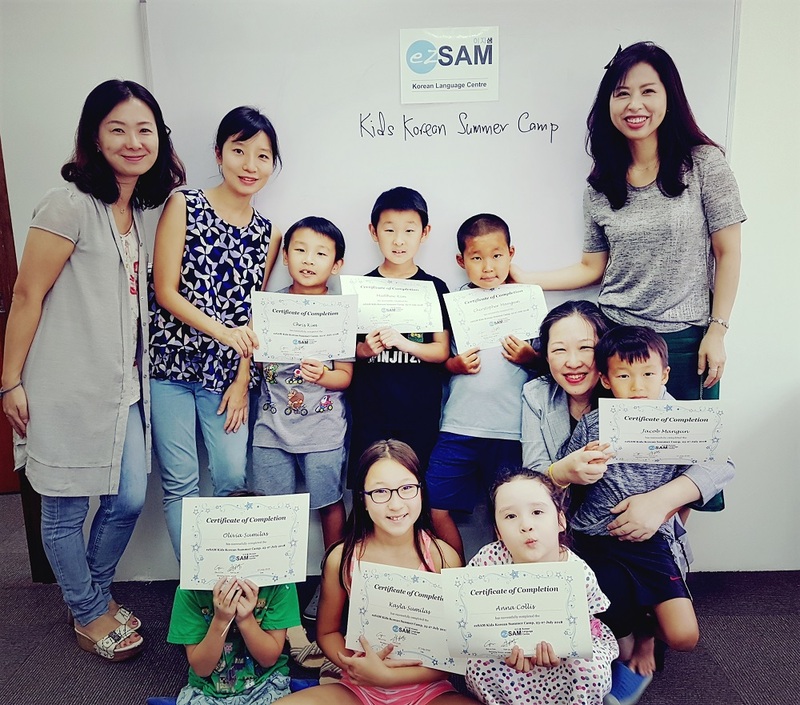 See our very successful Kids Korean Summer Camp held in 2018 for an idea of what we can do for kids learning Korean. Class Structure: For 5-9 years old and for 10-12 years old. Course Curriculum: Korean language class; fun learning through arts, music, songs etc. Start dates: Please refer to Course Details for actual course schedule. Learning Outcomes: Students should be able to read and write Korean characters, make introductions, and carry out simple conversations. They will also gain a good appreciation and understanding of the Korean culture such as music, art, drama. Tutors: Conducted by professional teachers with experience in teaching energetic youths. Suitable for 5-12 years old.